One of the more common misconceptions about private investigators is the access to information. Many believe that Montreal private investigators have access to privileged information. In part 2 of this multi-part series, “Access to Information” we’ll be exploring the most commonly asked questions we get as Montreal private Investigators and investigators across Canada related to collecting information. 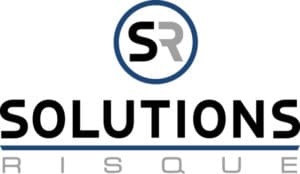 If you have any questions you would like to ask, please send them to info@solutionsrisque.com and we will be happy to answer them in future posts. Do Montreal private investigators have access to CPIC? The Canadian Police Information Centre or CPIC is a Canadian national information-sharing system providing information about crimes and criminals. CPIC is managed by the Royal Canadian Mounted Police. Only the law enforcement community has restricted access to the system. As mentioned in our previous article Ask the Montreal Private Investigator (Part 1), although all private investigators in Canada are licensed by their respective provinces they do not enforce any laws nor are they considered law enforcement officers. What type of information do Montreal private investigators have access to? How about U.S. private investigators? Private investigators based in the United States have access to motor vehicle records, data-brokers or investigative databases that contain an abundance of information on individuals. The most popular being IRBsearch, Tracersinfo, TLO, LocatePLUS and Accurint . These types of services are not legal to operate in Canada. So how do Montreal private investigators gather information? Due to the lack of specialty databases Canadian private investigators have to be more resourceful and proactive in collecting information and building strong cases. Deep web or invisible web which are websites not indexed by search engines. The deep web is the majority of the internet and its actual size is unknown. Investigative portals like the Canadian Private Investigators Resource Center, which compiles thousands of open-source investigative information in one location. The list of open-source information is endless. It’s imperative that the above methods of observation be conducted by highly trained licensed agents and within the parameters of the law. Before the arrival of technology, human intelligence or HUMINT was the primary source of intelligence. HUMINT is information derived by human sources usually through interviewing people who know or who have come in contact with the subject or event. If you have any questions you may contact us at 514-448-5037 or info@solutionsrisque.com . Consultations are always free.